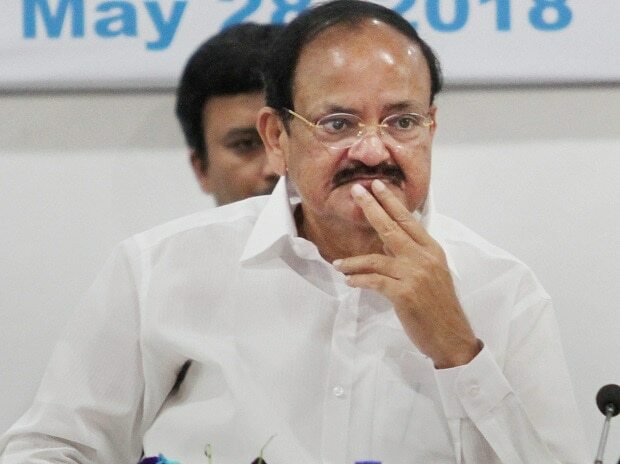 India is expected to be the third-largest consumer economy as its consumption is likely to triple to $4 trillion by 2025 owing to shift in consumer behaviour and expenditure pattern, Vice President M. Venkaiah Naidu said here on Thursday. Addressing the India-Paraguay Business Forum meeting here, the Vice President said Paraguay is an important partner of India in the Latin American and Caribbean region and there is an enormous potential to further increase this engagement. Naidu is the highest level representative from India to visit Paraguay in the last 58 years since the establishment of diplomatic relations between the two countries on September 13, 1961. He said the bilateral trade in 2017-18 increased by around 20 per cent to $335 million and there is immense scope for the Indian companies to investment in Paraguay, especially in automobile, pharmaceuticals and engineering goods segments. He said Paraguay leads the world in the export of renewable energy and offers interested Indian investors opportunities in the sector of small and medium-sized energy-generation components. Naidu said India-Paraguay Joint ventures in the pharma sector could greatly benefit Paraguayan consumers and noted that India extends e-visa facilities to all Latin American and Caribbean countries including Paraguay. He said India is witnessing a country-wide sweep of digital connectivity, transformative economic reforms, favourable demographics and a vibrant start-up ecosystem. "India is expected to be the third-largest consumer economy as its consumption may triple to $4 trillion by 2025, owing to shift in consumer behaviour and expenditure pattern. We have started work to build next-generation infrastructure including 100 Smart Cities, 7 high-speed train corridors and nationwide broad-band connectivity," he said. Earlier during his visit, the Vice President Naidu met Paraguayan President Mario Abdo Benitez and discussed terrorism and a range of bilateral issues. According to an official statement, Paraguay said it would support India's candidature to various United Nations and other multilateral bodies, including permanent members of the United Nations Security Council. Naidu also met Paraguay's Vice President Hugo Velazquez and President of the National Congress (Senate) Silvio Ovelar. "Both sides agreed that terrorism posed a grave threat to global peace and stability, stressing that there could be no justification for acts of terror on any grounds whatsoever. Outlining a common desire to take an uncompromising stand against terror, India and Paraguay have agreed to cooperate to deal with the menace of terror," the statement said. Paraguay decried the brutal terrorist attack that took place in Jammu and Kashmir's Pulwama on February 14, saying India could always count on its support in the fight against terrorism and in voicing India's concerns on terrorism in international fora. Citing the scourge of cross-border terrorism in India, Naidu stressed the need to take strong measures against terrorists, terror organisations, their networks and all those who encourage, support, finance and provide safe haven to them. Paraguay also affirmed its support for a UN Comprehensive Convention on International Terrorism proposed by India. The Vice President also emphasised that Paraguay is an important partner of India in the Latin American and Caribbean region and said that bilateral relations have been showing an upward trend. The Indian and Paraguayan leaders noted with satisfaction the strengthening of bilateral relations over the years and the 10-fold growth in the bilateral trade over the last decade, while agreeing that there is greater scope to increase trade volume and diversify the trade basket. Naidu urged the Paraguayan leadership to explore new areas of collaboration including agriculture, hydro-electric and solar energy, health, pharmaceuticals, traditional medicine, Information and Communication Technology, and biotechnology. Both sides agreed to facilitate promotion of exchanges between academics and universities and also between stakeholders in tourism. He requested Paraguay to facilitate convening of the next round of expert-level discussions between regional bloc MERCOSUR and India to take forward the shared agenda of the expansion of the Preferential Trade Agreement. He also witnessed the signing of a Memorandum of Understanding between the Diplomatic and Consular Academy of Paraguay and the Foreign Service Institute of India. "Decision was made to task experts from both nations to finalize pending agreements including Double Taxation Avoidance Agreement, Bilateral Investment Treaty and for Extradition and Mutual Legal Assistance," the statement said.